The Commoner is now available in eBook! sonja on Would you like The Gilding in paperback? Kristen on Would you like The Gilding in paperback? 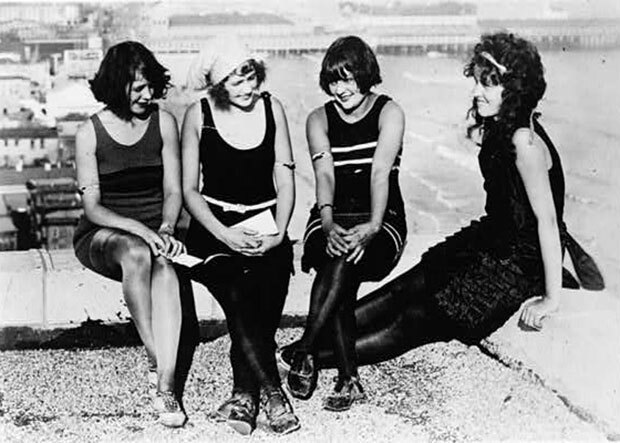 End of the summer look at various vintage style bathing suits. 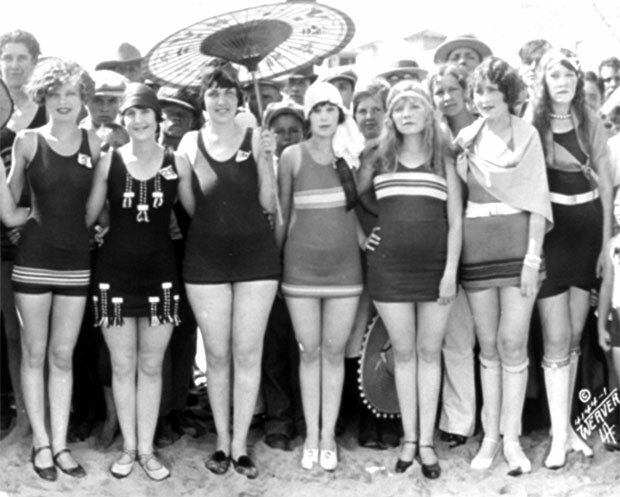 In the early 20th century, vintage bathing suits came in various color combinations. Styles included two-piece swimsuits consisting of jersey shirts and flannel trousers. 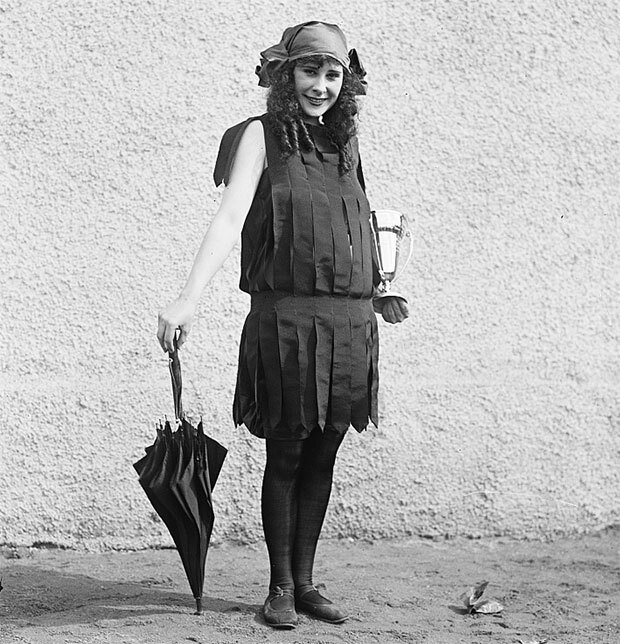 Also fashionable were satin bathing frocks with attached wool jersey knickers and wool jersey bathing frocks to be worn over one-piece swimsuits. 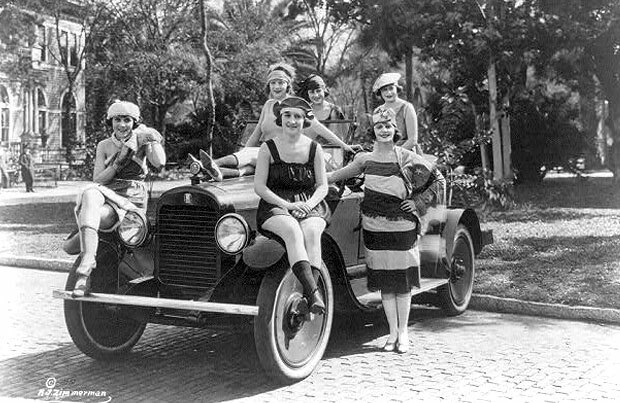 To accessorize, there were rubberized silk hats, cross-stitched jersey head-bands, and satin bathing slippers. 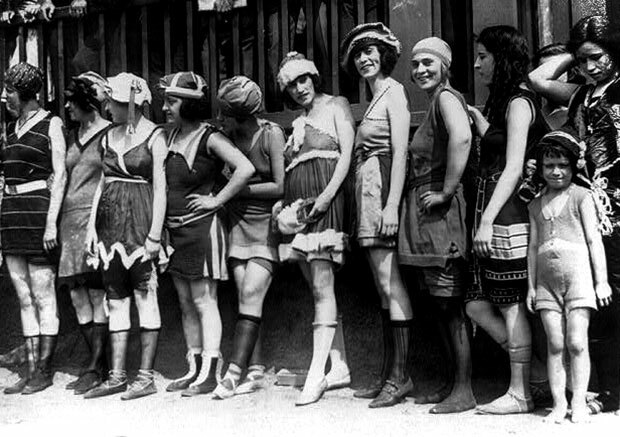 11 women and a little girl lined up for bathing beauty contest in 1920. 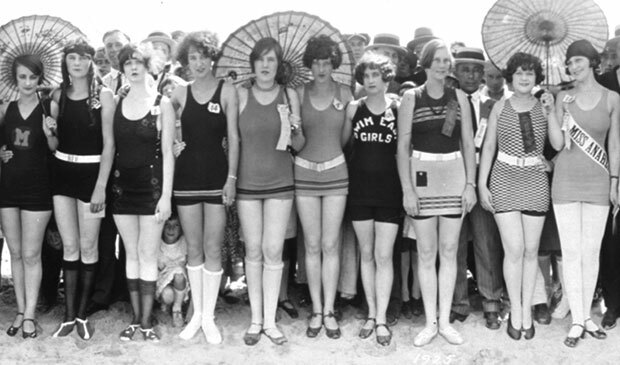 New York beauties in vintage bathing suits at Atlantic City carnival on Sept. 8, 1922. 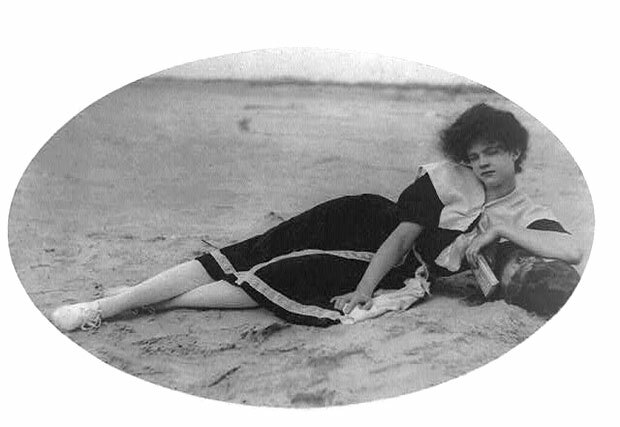 Woman in vintage bathing suit lying on beach, c.1910. 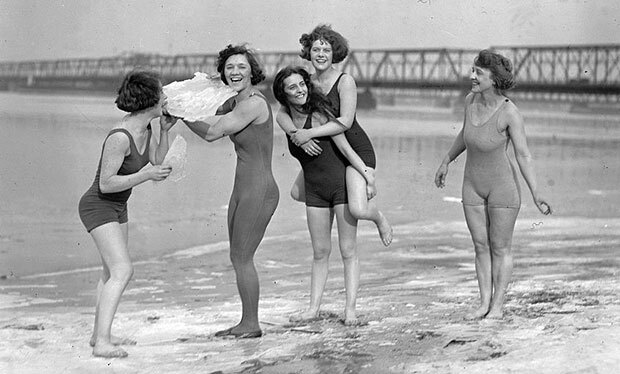 Five women in 1920s swimsuits on icy beach in February 1924. A 1922 photo shows Bill Norton, the bathing beach “cop”, using a tape measure to determine the distance between a woman’s knee and the bottom of her bathing suit. Remember a similar scene from “Boardwalk Empire”? 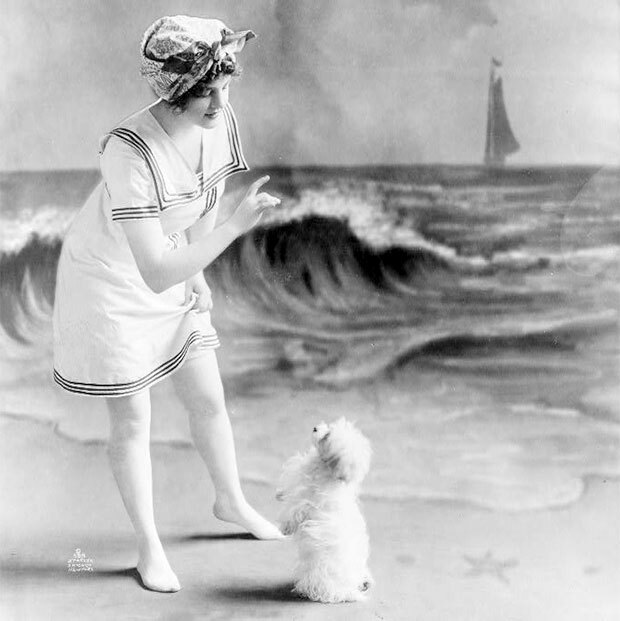 Young woman in vintage bathing suit in front of studio backdrop of beach in 1913. 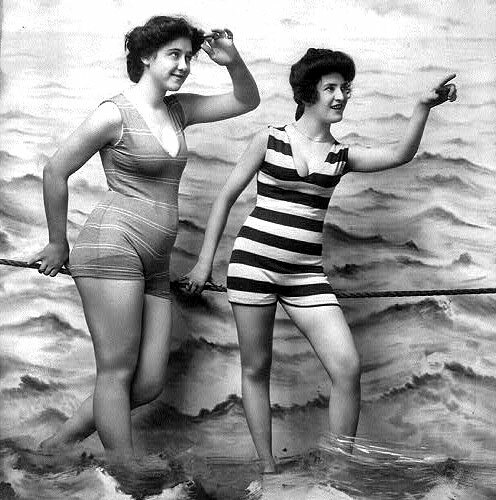 Two women in vintage bathing suits. Roxy McGowan and Mary Thurman in vintage bathing suits, c.1918. 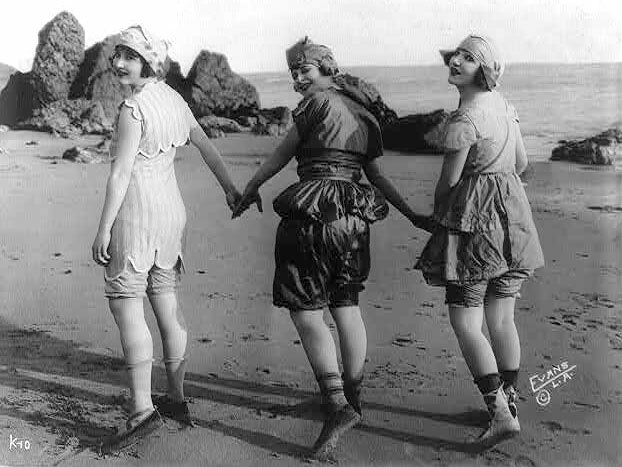 Three bathing beauties with hands joined, wearing vintage bathing suits on beach, c.1918. 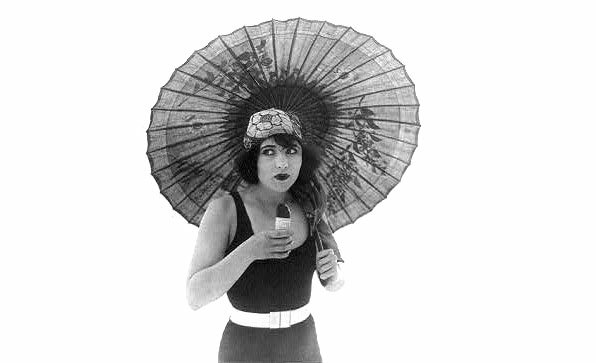 1920s movie star standing with umbrella in bathing suit eating Eskimo Pie. 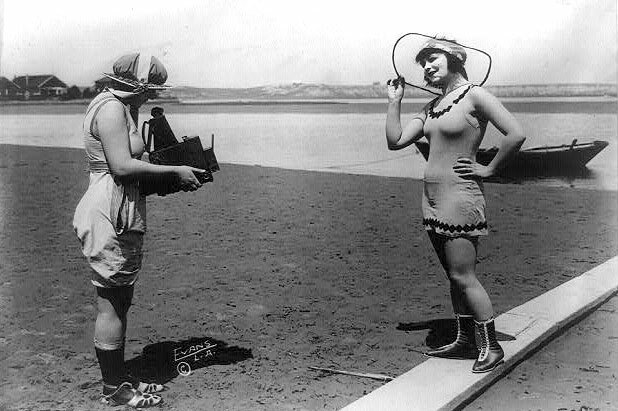 Woman in bathing suit, c.1922. 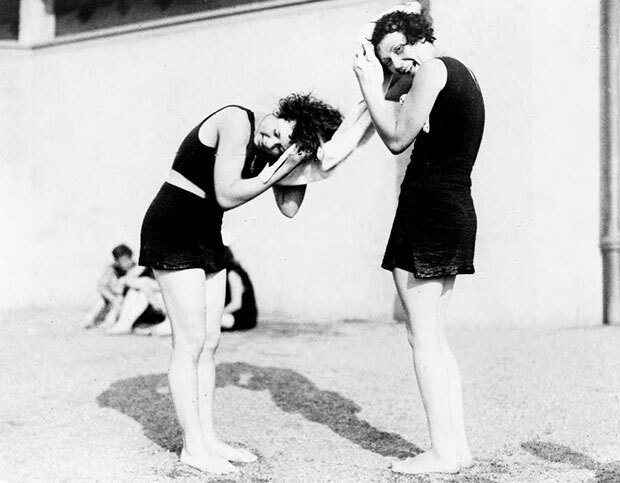 Bathing Beauty Pageant, 1925, Huntington Beach, Calif.
Two women in bathing costumes drying their hair, c.1928. 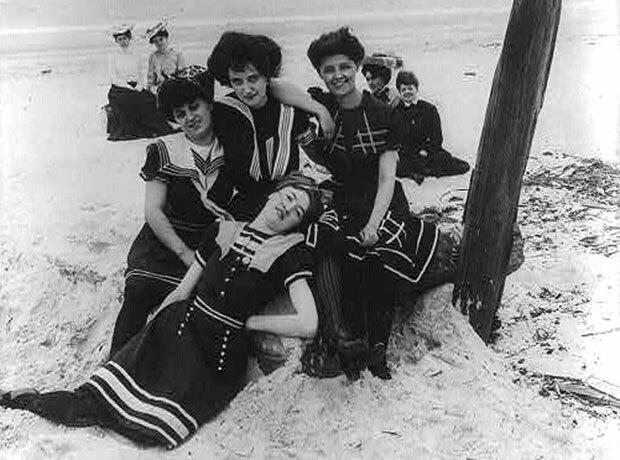 Photograph from 1906 shows four young women wearing vintage bathing suits sitting on sand at the beach. 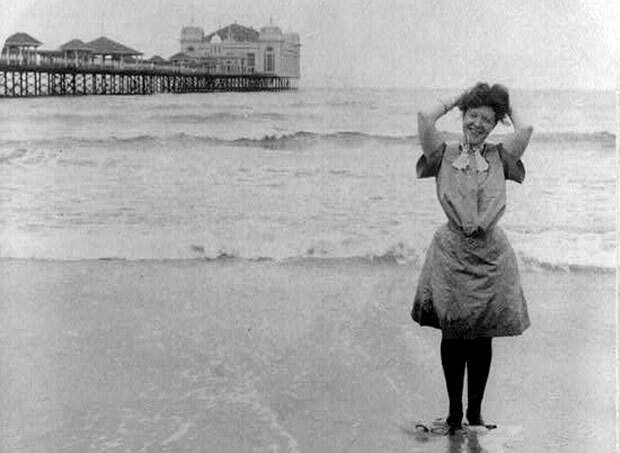 Happy and beautiful bather posing in front of Atlantic City boardwalk in 1903. 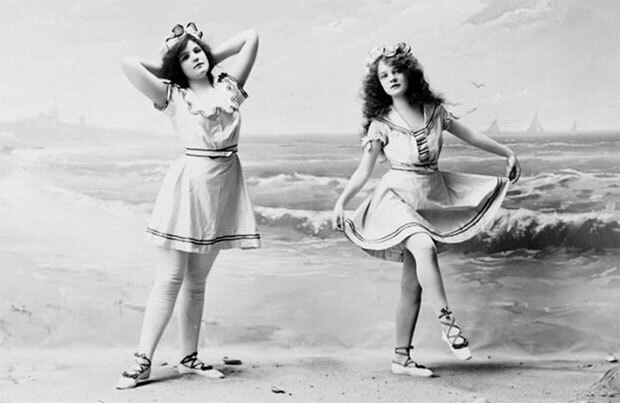 Two girls wearing vintage bathing clothing, posed in front of beach backdrop in 1902. 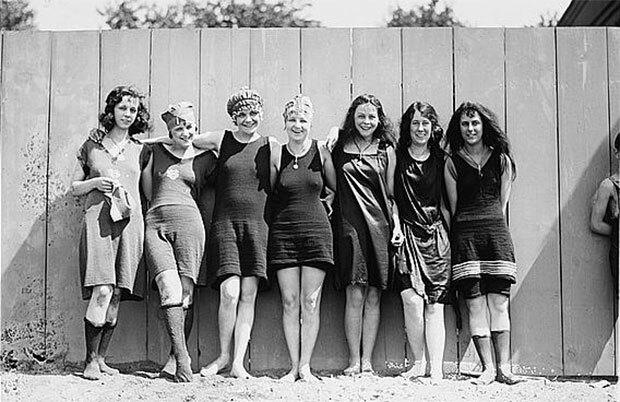 Six women dressed in bathing suits, c.1920.